Julius Caesar is triumphant on the battlefield, but in the halls of government his consolidated power is feared. As Rome’s people prepare to anoint an Emperor and surrender their democratic rights, a group of senatorial conspirators plot to assassinate Caesar in the name of liberty. Will this violence bring about a new age of Roman peace, or throw the republic back into civil war? Shakespeare’s epic and thrilling tragedy explores the challenge of sustaining democracy, the timeless nature of propaganda, and the power of self-interest and betrayal to turn a government against its people and politics into a brutal blood sport. 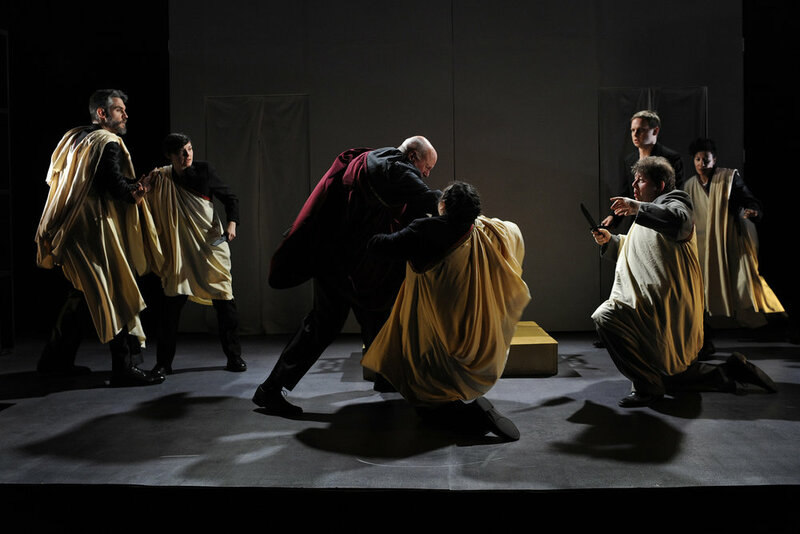 In a new adaptation by director Alexander Burns, which incorporates text from John Masefield’s The Tragedy of Pompey The Great, Joseph Addison’s Cato and other 17th century dramatic writing on Julius Caesar, this promises to be a never before seen retelling of the timely political tragedy of Julius Caesar.